The firearm training industry has a lot of quality people and some that are less than quality. Take example this news story below where a law enforcement officers was forced to resign but is suspected of continuing to teach Ohio CCW classes (http://www.wfmj.com/story/39974773/exclusive-hundreds-of-ccw-permits-suspended-in-mahoning-valley). Normally you would think to yourself if they are a current or former police officer they know the law and probably have a lot of good stories to teach you. 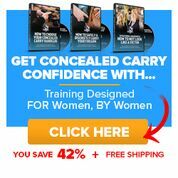 Just because someone says they are a police officer, former military special forces, or an NRA instructor doesn’t mean they are allowed to teach your CCW course. Many states have specific course requirements for a CCW course and if the course does not follow it then your application could be turned down or worse you could receive a letter from the police telling you that your CCW license is no longer valid meaning you have to stop carrying until you clear up the problems with your license. Check references and see what kind of an instructor they are and how they handle their class. Safety violations by the instructor(s) are a clear indicator that maybe you should find another instructor. 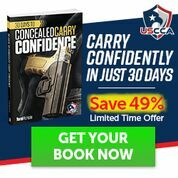 If you are taking this course for your CCW will they refund your money if the class isn’t accepted? Does the instructor stay current with industry trends and changes. You may not be a slave to fashion but when it comes to firearms you’ll want to take current training and not something from the 1990’s. All instructors should carry insurance in case something happens. This isn’t just in case someone gets shot but what happens if a tree on an outdoor range falls or you slip on brass casings on the floor and break a leg. Having insurance will be a simple sign of how serious they take their role as instructors. Do they have an emergency plan in case of an accident and do they carry trauma first aid kit in case of an accident. If someone is seriously injured you don’t want to hear the ambulance is 10 minutes or 2 minutes away. You want someone who knows how to do the initial trauma care and increase the chances of that person surviving. A little due dilligence on your part can save you a lot of hassle down the road by attending the wrong training class.